In the spirit of all things spooky, here are some of my favorite shots from when I went to the Catacombs of Paris this past September. I won't lie to you: this kind of stuff really terrifies me. I can't even walk past a graveyard or watch a scary movie without getting unbearably creeped out. On my past trips to Paris, I had always concocted some excuse not to visit the Catacombs. But this time around, my friend Mila convinced me to conquer my fears and finally explore the famous underground tombs of Paris. 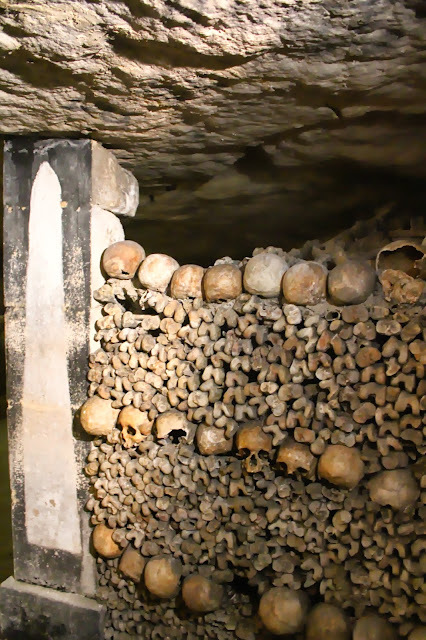 As creepy as these underground tombs were, I found them more fascinating than scary. 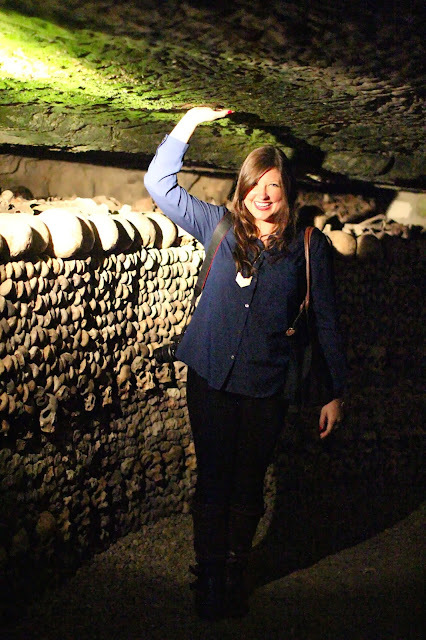 Venturing through the Catacombs was much like riding a rollercoaster: as we were standing in line I was overcome with fear and anxiety, but afterwards I couldn't stop saying, "That was the coolest thing ever!" Needless to say, I'm so glad I faced my fears and finally visited this enthralling part of the city. 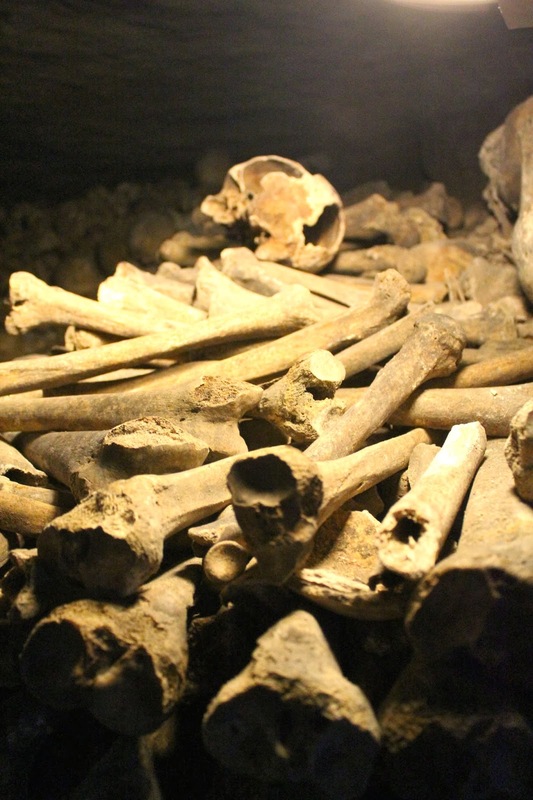 Even if you're a scardy-cat like me, I highly recommend visiting the Catacombs next time you're in Paris. 1 comment on "Catacombs of Paris"